The Utility modules for PDC and Bluetooth interact with the vehicle, controlling the radio and the steering wheel commands dedicated for the phone. Meta Voice allows the driver handsfree use for phone call functions, pushing the PHONE/AUX button, the system automatically switches to the "Bluetooth handsfree kit", using the original car's display and the call menu, allowing the driver to scroll through the phone book of the connected phone, dial a number, use the voice call or repeat the last call made In addition, the A2DP function of Meta Voice allows the driver to play their MP3 music stored on their mobile device through the vehicle’s existing audio system. OPX is compatible with Meta System’s Active Park for front and rear applications and Easy Park system only for rear. Both systems can now interact with the car's display, automatically showing when the parking sensors detect and recognise obstacles at the front, the rear or both together. It also allows the collection of information from the speed pulse signal (>12,mph), the handbrake and the ignition on/off settings of the vehicle to automatically operate when the vehicle is manoeuvring slowly. Please note: Not compatible with Navigation or Amplified Audio System!! 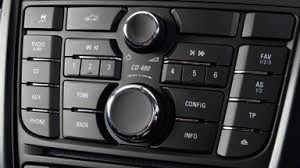 The Vauxhall Bluetooth Handsfree Car Kit is available for fitting in Leeds, Bradford, Wakefiled, York, Hull & many other cities and surrounding areas. Please feel free to contact us if you would like to find out more.